The exquisite opening of Laura again instantly provides the first clues about detective Mark McPherson’s personality. This was to be a star-making role for Dana Andrews, who fought to get it after Lewis Milestone secretly handed him over a copy of the script, advising him to get that part no matter what. Andrews had actually met Preminger at Milestone’s house, and Otto was in favor of casting him. The actor furthermore managed to turn around Zanuck’s initial reluctance (he wanted John Hodiak for the role), by gaining the sympathy of his wife. 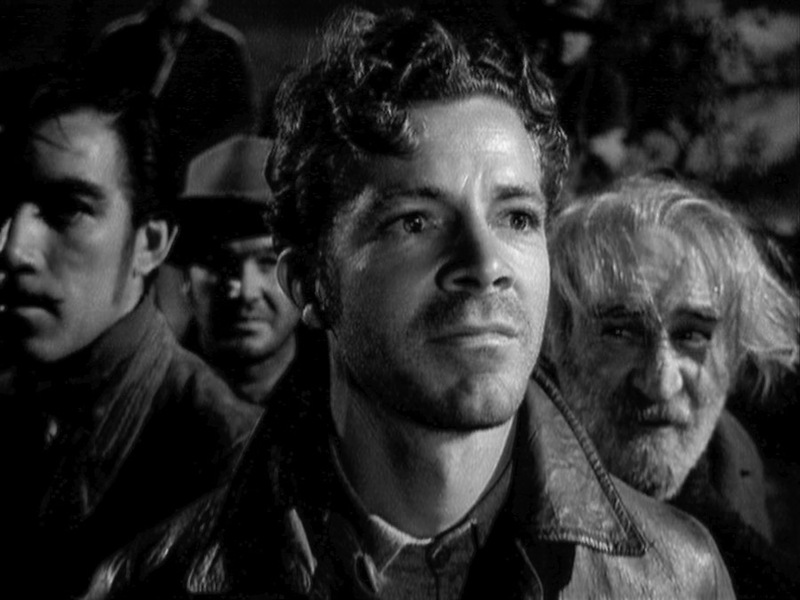 Dana Andrews in “The Ox-Bow Incident” (1943), one year prior to “Laura”. It was the role that truly got him noticed as an actor.